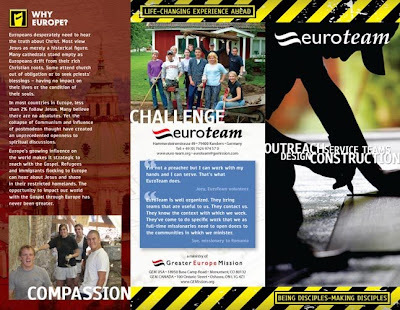 The EuroTeam brochure is another of the brochures we worked on for Urbana '09. It was fun to work on and provided some interesting creative challenges! 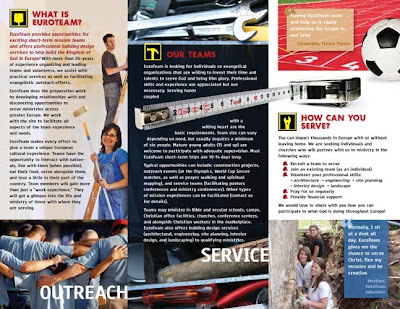 Learn more about EuroTeam here.